GoPro Inc. (Nasdaq: GPRO) stock jumped as much as 8% in after-hours trading today (Thursday) after the company reported earnings per share (EPS) of $0.12 for the third quarter. Analysts had expected EPS of $0.08. GoPro reported revenue of $280 million, which beat consensus estimates of $263.5 million. The company's guidance figures had revenue between $255 million and $265 million. That revenue total was a 45.8% increase from last year, and a 14.5% rise from last quarter. The company also reported operating income of $27.6 million in Q3. That was up from just $2.3 million last year and $17.8 million last quarter. The biggest reason for the earnings beat: strong camera sales. GoPro unveiled its newest camera, the Hero4, in September. 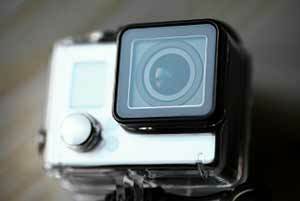 GoPro's strong sales figures are not a surprise. The timing for the Hero4 launch was perfect. GoPro has been riding a wave of momentum since its high-profile initial public offering in June. The IPO expanded the company's brand awareness. The momentum will continue through the holiday season, so we're likely to see strong sales figures in Q4 as well. you want Money for your book. Not to really help us survive this !! !